To walk the Camino all you need to do is follow the yellow arrows. You will also find many scallop shell markers along the way. Pilgrims pick up stones along the way to symbolize the burdens they intend to leave behind and add them to the piles atop each one. If you are walking and a worry comes into your head you should just pick up a stone and tell yourself that once you set it down you will leave it behind. 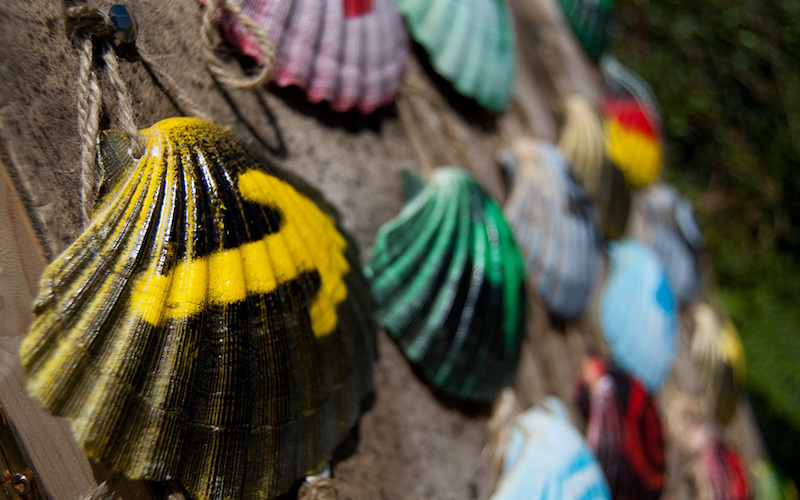 Over many generations the scallop shell has become the main symbol for the Camino de Santiago. The shell is commonly found on the shores of Galicia near Santiago de Compostela. Some say that monks who were traveling The Camino in lieu of those who could not make the journey themselves would bring the shell back as proof that they had made it successfully.